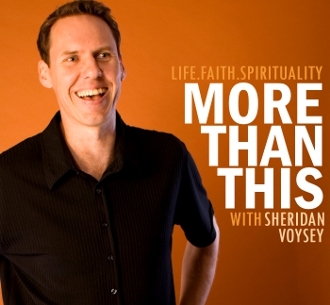 Sheridan Voysey is a writer, speaker and broadcaster on faith and spirituality. 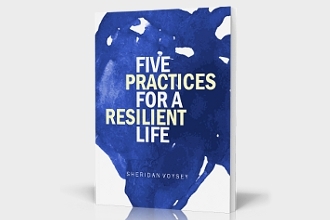 He is the author of seven books, including The Making of Us: Who We Can Become When Life Doesn’t Go as Planned (March 2019), Resurrection Year: Turning Broken Dreams into New Beginnings, plus Resilient and the award-winning Unseen Footprints. His writing has been featured in various publications, and he writes regularly for Our Daily Bread, a devotional read by 90 million people daily. 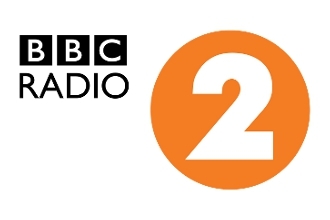 Sheridan is a presenter of Pause for Thought on BBC Radio 2’s Chris Evans Breakfast Show (heard by 10 million people daily), and has conducted over 2000 radio interviews in his 25-year broadcast career. He has been featured on BBC Breakfast, BBC News, Day of Discovery, 100 Huntley Street, BBC Radio 4, BBC Radio 5 Live, the ABC, Moody Radio, and in publications like The Sunday Telegraph, The Daily Mail, Christianity, and Third Way. He speaks at conferences and events around the world. 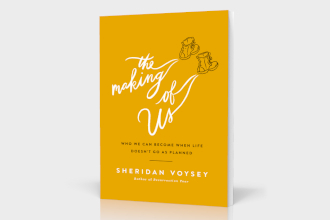 They include The Making of Us: Who We Can Become When Life Doesn’t Go as Planned (Thomas Nelson/Harper Collins, March 2019), Resilient: Your Invitation to a Jesus-Shaped Life (October 2015), Resurrection Year: Turning Broken Dreams into New Beginnings (shortlisted for the 2014 ECPA Book of the Year award), Unseen Footprints: Encountering the Divine Along the Journey of Life (2006 Australian Christian Book of the Year, now in its fourth edition), and the three-volume series Open House: Sheridan Voysey in Conversation. He is a regular writer for the popular devotional Our Daily Bread (90 million readers daily), and has penned cover stories and editor’s choice pieces for magazines like Christianity, Alive, and ABC Religion and Ethics. 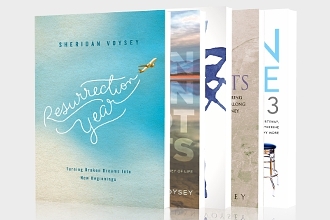 Sheridan featured alongside NT Wright and Rowan Williams for the BigRead12 and Bigread13 Lent events, and has contributed chapters to 13 books, including titles like Pause for Thought and The Power of Good. 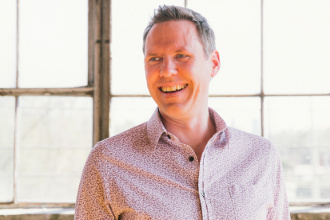 He is a regular presenter of Pause for Thought on BBC Radio 2’s Chris Evans Breakfast Show (heard by 10 million listeners daily) and a frequent contributor to other international networks. Before moving to the United Kingdom in 2011, he was the founding host of Open House: a live, nationally-networked Australian radio show, celebrated for its ability to bring together Muslims, atheists, new-agers, and secular listeners with Christians of all kinds. Sheridan has conducted over 2000 interviews in his 25-year broadcast career, talking with some of the world’s most prominent authors, artists, politicians, poets, theologians and musicians—everyone from Anne Rice to Marilynne Robinson, Joel Osteen to Donald Miller, Chuck Colson to Jeffrey Sachs, Phillip Yancey to Thomas Keneally, Gloria Gaynor to Switchfoot. Sheridan is also the former director of Compassion Day—a national radio event which saw a record 1500 children sponsored out of poverty in a single day. In 2011 Sheridan was presented with an award for service to Australian broadcasting from the industry group Christian Media Australia. He has been featured in TV programs like BBC Breakfast, BBC News, Channel 5 News, TBN UK, and Canada’s 100 Huntley Street. With his wife Merryn, Sheridan was the subject of a Day of Discovery documentary called A Journey Through Broken Dreams. He has been a guest on dozens of radio networks like BBC Radio 2, BBC Radio 4, BBC Radio 5 Live, the ABC, Discover the Word and Moody Radio. Sheridan has also featured in numerous newspaper and magazine articles for The Sunday Telegraph, The Daily Mail, Publisher’s Weekly, Church Times, Third Way, Idea, Christianity, HomeLife, Homecoming, Sorted, Liberti, Families First, The West Australian, War Cry, Eureka, Signs and Insights. … Sheridan is a husband to Merryn, a walking buddy to his dog Rupert, a lover of soul and funk, photography, dark chocolate, and a pilgrim in search of wisdom and wonder. He holds degrees in Ministry and Communication. He devours books. He enjoys photography. He lives and travels from Oxford, United Kingdom, where he can often be found in one of its cosy coffee shops.